Jaq and Gus Gus perch themselves inside Lady Tremaine's tea cup as they scheme to get the key and rescue Cinderella! 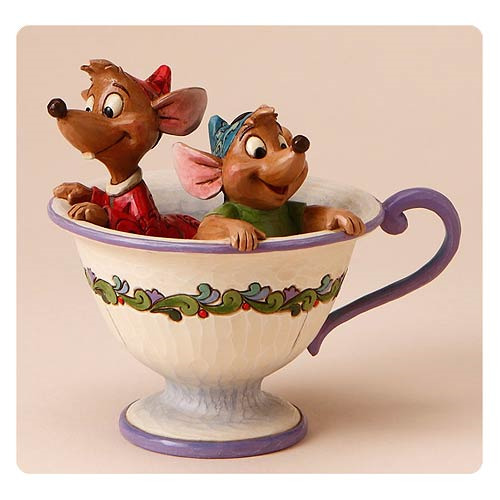 The adorable duo join Enesco's Disney Traditions series. This Disney Traditions Cinderella Jaq and Gus Tea for Two Statue is made of stone resin, complete with wire tails on the mice. Measures approximately 4 1/2-inches x 5 1/4-inches.